“Democracy and Prosperity” persuasively argues that markets and shifting electoral balances have worked well together to support economic growth. Its two professor authors don’t think the new “populism” needs to break the pattern. Sadly, that case is much less compelling. 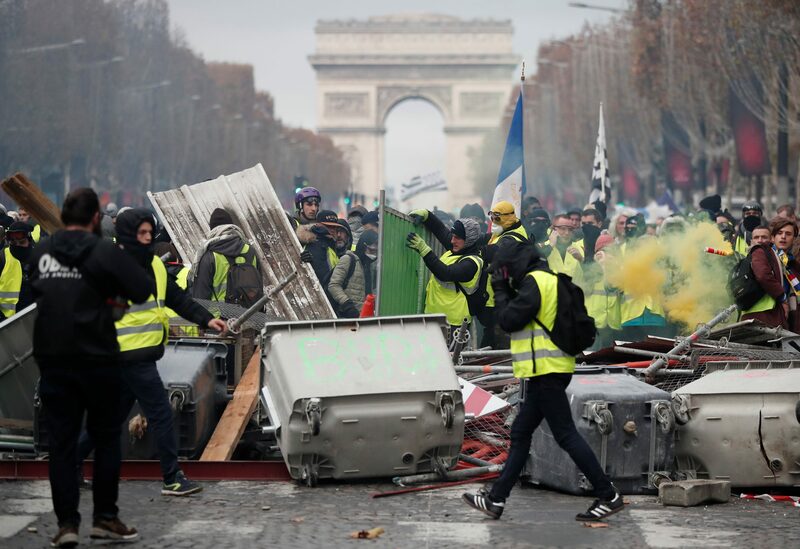 Protesters wearing yellow vests, a symbol of a French drivers' protest against higher fuel prices, build a barricade during clashes on the Champs-Elysees in Paris, France, November 24, 2018. “Democracy and Prosperity: Reinventing Capitalism through a Turbulent Century” by Torben Iversen and David Soskice was published by Princeton University Press on Jan. 22.